Millenium Technology Center: a new name for an historic company that wrote some of the most innovative pages of international sailmaking. Millenium Technology Center sailmaker was established in Florence in 1981 where it is still present today with its own production sites. With over 4,000 square meters of working area the center is one of the largest facilities in Italy. 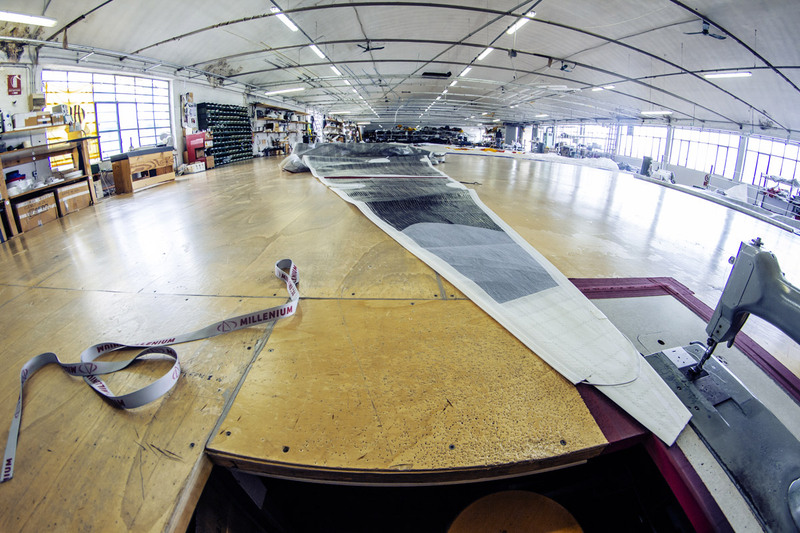 The key moments of our history are two: 1986, when we were the first to produce continuous fiber sails, at a time that our competitors were still dealing with tri-radial sails; 2000, when reaching qualitative results that nowadays still no other sailmaker can match, we were pioneers in the research and development of sails laminated in one piece. These achievements allowed Millenium Technology Center to reach a cutting-edge sail technology, acknowledged worldwide. Today we are able to offer our customers high quality finished sails for all type of yachts. Moreover, 40 partner sailmakers are using Millenium Technology internationally. Written by: Gloria on 21 June 2015.on 13 February 2017.